Preparing for a job interview begins with conducting good background research on the company, the job and even the people you will be meeting. Surveys indicate that one of the biggest interview mistakes job candidates make is not knowing enough about the company or job. Many people are unfamiliar with how to start the research process. Which resources are the best to use? We show you how to get the company information you need to stand out as a prepared and informed job candidate in your next interview. When conducting company research on a subsidiary of a larger company start with the parent company or holding corporation. You can then drill down into the subsidiary information. Nationally known companies are easier to research company info on than local firms. Check whether the company is part of a bigger, national organization and start your research there. Use a variety of research sources, when preparing for a job interview, to get the most valid information. Remember to consider the source of the company information. A web search will give you data from a variety of sources, it is up to you to recognize reputable and valid information. How to find job interview information on the internet is covered for you in detail here. Learn about preparing for a job interview using these 5 top research resources. What if I can't find company information and research online? Before conducting your interview preparation, make sure you have the full and proper company name. Sometimes a company is commonly referred to by a different name to the registered name. Check whether it is a subsidiary of a larger corporation and if so focus on the parent company. 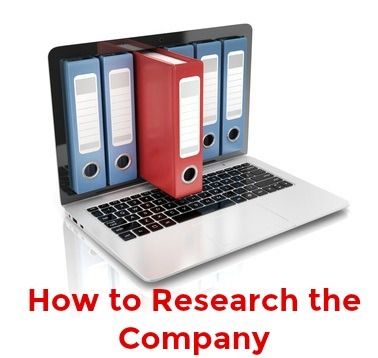 What company research information do you need? These are the 3 essential steps to take when preparing for your job interview. Use this information when preparing the right job interview question to ask the interviewer. Asking good, insightful questions during your interview is key to your success. Make sure you have everything ready before your job interview. Be well prepared and feel confident that you have it all under control. 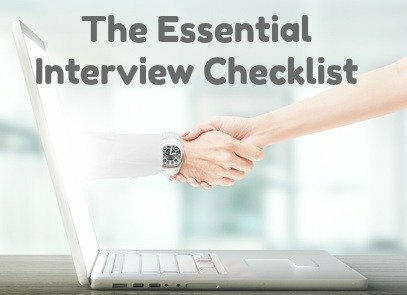 Go to the complete job interview checklist to make sure you have what you need before your interview. Job interview answers to difficult interview questions. Use the mock job interview to practice for your interview. Preparing thoroughly for a job interview is key to your success.